This may be the busiest holiday season I’ve had yet. Between writing a holiday cookbook, hosting Thanksgiving, preparing to go to New Orleans this week, keeping up a busy work-from-home schedule, and getting the boys through schoolwork before a Christmas break, I kind of feel like a chicken with my head cut off. This immune-boosting gummy recipe is just what the doctor ordered. Last week while I was preparing my shopping list for Thanksgiving, I left the kids in the kitchen making some chocolate pudding (recipe here). By the time I returned less than five minutes later, mister two had dumped cocoa powder everywhere. But my nine-year-old had made a yummy snack for us all, so I’ll call it a win. Today, when I sent the kids to clean up a massive Lincoln Logs mess in my littles’ room, I was met with a report of butter smeared all over the bed. Sure enough, there was, indeed, butter smeared all over the bed. At least it was just the wooden frame and not the bedding. I had found the block of butter with bites taken out of it on the floor outside the room last night. I guess I’ll also call that a win because my kids understand the importance of proper nutrition. Grassfed butter = good fat and vitamins K & D.
There are lots of herbs that are just perfect for supporting the immune system, gently but effectively. 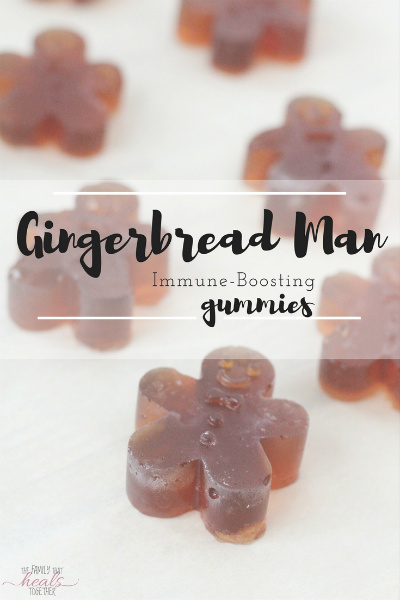 Ginger and elderberries are perfect to use in my gummy recipe to boost immune health! The best part is that these gummies are like candy to my kids, so they don’t care how healthy they are, just that they love them! You can find this recipe and more healthy and cold season recipes in my digital cookbook Nourishing Holiday, which you can find here. Mister two enjoying a gingerbread man immune-boosting gummy. The holiday season can also mean a season for sickness if we’re not careful to protect ourselves. 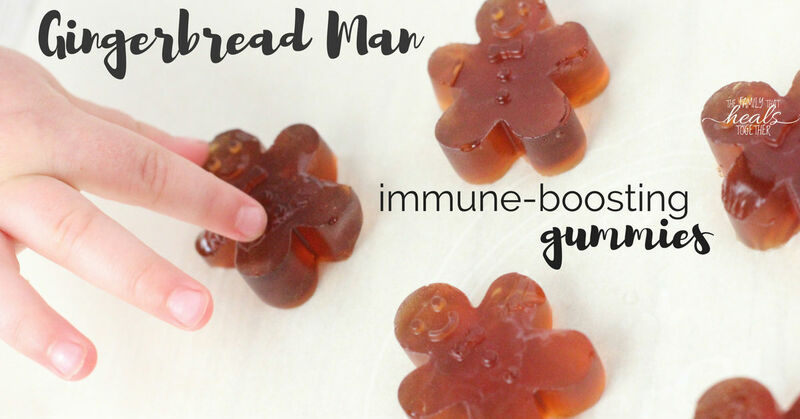 These fun gummies are irresistible to kids, who won’t even know how good the ginger and elderberries are for their immune system! Place water, ginger tea, and elderberries in a small saucepan and bring to a boil. Remove from heat and steep for about ten minutes before filtering into a medium mixing bowl. Add the honey and gelatin and whisk vigorously until gelatin is melted and no lumps remain. Pour into gingerbread man or other fun shaped silicone mold and place in the refrigerator for an hour to set up. This is great! 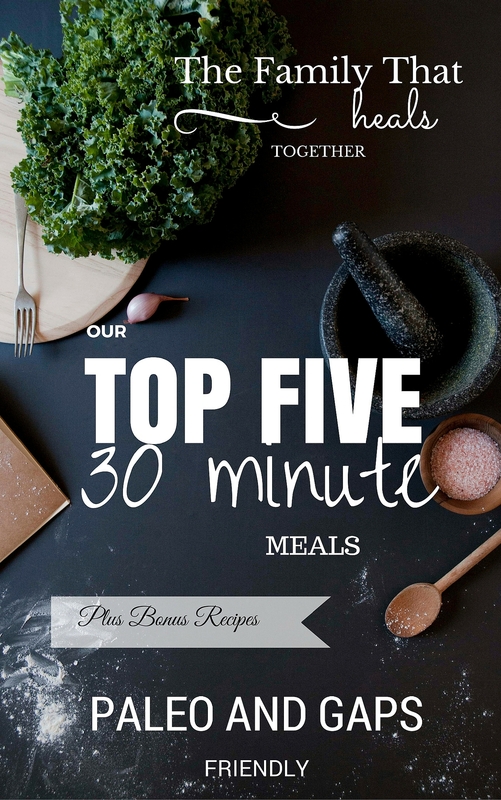 So cute, full of nourishment and great for the kids! Thanks Michala! My kids definitely love them! Where do you find elderberries? Hi Kim. I buy my elderberries here.